Annie Leibovitz, who is a photographer, has revealed some details on her infamous photoshoot with the Queen, describing the monarch as “a bit cranky”. 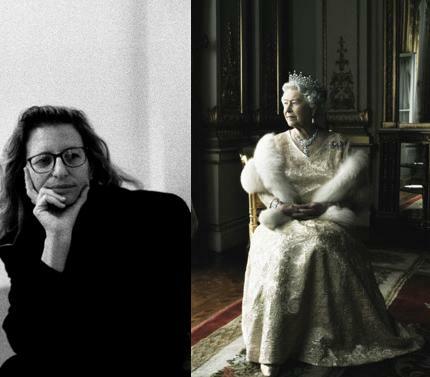 Annie Leibovitz’s encounter with the Queen at Buckingham Palace last year was filmed for a BBC documentary series. The footage led to ‘Queengate’, when a trailer was misleadingly edited to give the impression that the Queen had stormed out in a huff, and led to the resignation of BBC1 controller Peter Fincham. Annie Leibovitz later wrote a letter praising the monarch’s “resolve” and “devotion to duty”. The American photographer had already made something of a faux pas when discussing ideas for the shoot with Palace officials. She recalled: “I thought about using the landscape around Balmoral Castle, in Scotland. I brought this up in the very first conference… I had been influenced by Helen Mirren’s performance in The Queen and I couldn’t help mentioning how much I liked her character in that film. There was a long silence on the other end of the line.” The Balmoral idea was turned down in favor of Buckingham Palace. Despite the ensuing “brouhaha”, the photographer said she felt honored to be the first American invited to produce an official portrait of the Queen. The October issue of Vanity Fair is out Friday. In the photograph, the Queen sitting in the White Drawing Room at Buckingham Palace dressed in a pale gold evening dress, fur stole and diamond tiara.